Bullying is very difficult for children, or anyone, to deal with. It makes you feel afraid and degraded and often it makes a person feel like they are worthless. Unfortunately, bullying also makes you stop wanting to go out because you are scared you might see the person bullying you. Many children who are bullied even start asking themselves if they can do anything right? You have to tell someone. You may not want to do this because it means showing that you are vulnerable, that you are letting someone get the better of you. But really, it is very important to tell someone otherwise, it may not stop. Speak to a friend, parent, brother or sister, uncle or aunt and most importantly, if it happens at school, speak to your teacher. 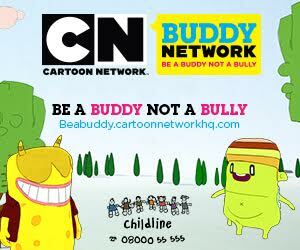 You could be a bully because someone is bullying you. What made me start bullying? Why do I pick on people? How does it make me feel when I am bullying somebody? If I want to, how do I stop? If you are uncertain about what happens after you stop bullying, then speak to someone  a parent, a friend, a teacher  someone you trust not to judge you. Remember that this behaviour is UNACCEPTABLE but everyone is entitled to a SECOND CHANCE.